this week, some excellent old roots music from the mighty waiphot phetsuphan! 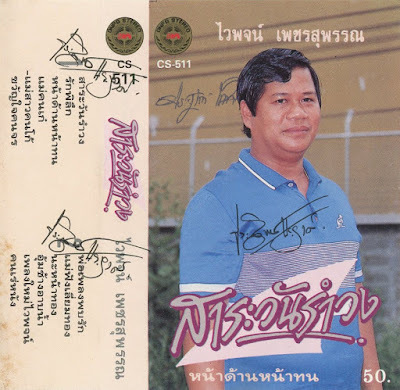 a national artist and luk thung boss nonpareil, waiphot has been a staple of the thai country music scene for half a century. born into a musical family from central thailand's suphanburi province, waiphot was trained from a toddler's age in a range of local styles. at 14 he joined a local liké theatre troupe, and at 16 won his first song contest. he was discovered shortly after by singer chaichana bunnachot, who introduced him to samniang muangthong, leader of the ruam daokrachai band. waiphot's powerful voice and spiritual focus have made him one of the most enduring and omnipresent characters of thai popular music. 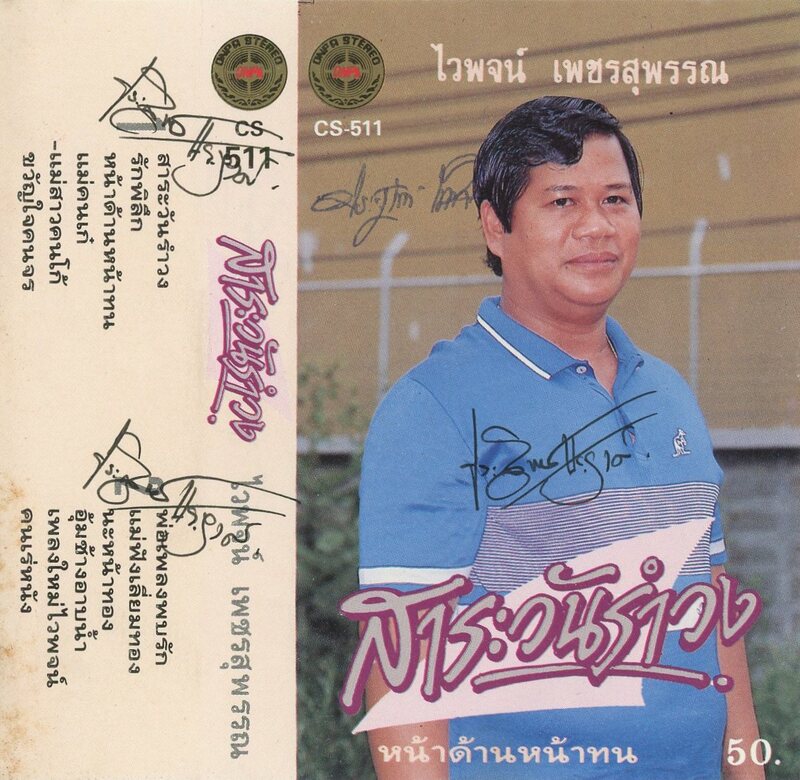 this cassette features several welcome surprises including a guest apparance by mae khwanchit siprachan and some unusual (for the time) molam-style khaen introductions.. enjoy!! Thank you for all the amazing, unknown tapes!